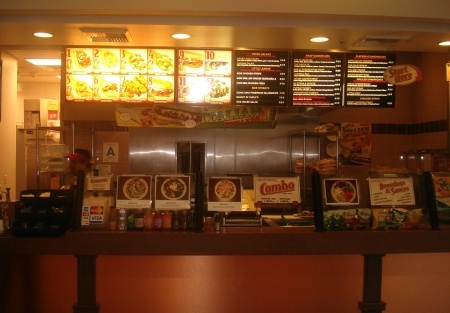 This franchise sandwich shop has a great location in a busy food court area in a mall located in a prime area of West Los Angeles. This mall is known to heavily promote charity events and holidays. Mall management works hard to promote mall and attract new customers. A brand new large theater complex just opened up next door. The sandwich shop is currently a Franchise serving a variety of American Sandwiches and salads. Potential buyer does not need to continue with Franchise and can change concept and name if desired. There is approx. 600 square feet with open food court seating and plenty of mall parking. Base rent is currently $4583. The lease has 10 years remaining. Sellers are not from the restaurant business and want to pursue another business opportunity. Please select one of the bright orange buttons below to get the name and address of this business along with more photos. It requires one to register, which costs nothing. All that's needs is an e-mail address, name, address and phone contact to register. Simple as that!This is a a Paramount Restaurant Brokers, Inc. listing. Specialized sandwich shop has a great location and is located in a busy food court area in a mall located in the greater Los Angeles area. Mall is known to promote charity events and holidays. Mall management works continuously to promote mall and attract new customers. Sandwich shop is currently a Franchise serving a variety of American Sandwiches and salads. Potential buyer does not need to continue with Franchise and can change concept and name. Base monthly rent is currently $4,583. Percentage lease at 8% of gross Sales. Lease has 10 years remaining.